Caption : Kochi. 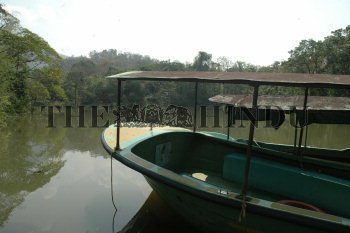 The boats of the Salim Ali bird sanctuary which have been pulled out of the service following the Thattekad boat tragedy. The tourism activities to the area has also been affcted due to the accident. Photo;H_Vibhu,25/3/07.